And a teapot pincushion. I am a 'cushion collector as you may know so I couldn't pass this one up. I hope to post more tomorrow...I have lots of cool stuff to share pics of. I thought that teapot was REAL!!! OMG that's unreal!! Love your santa quilt too. 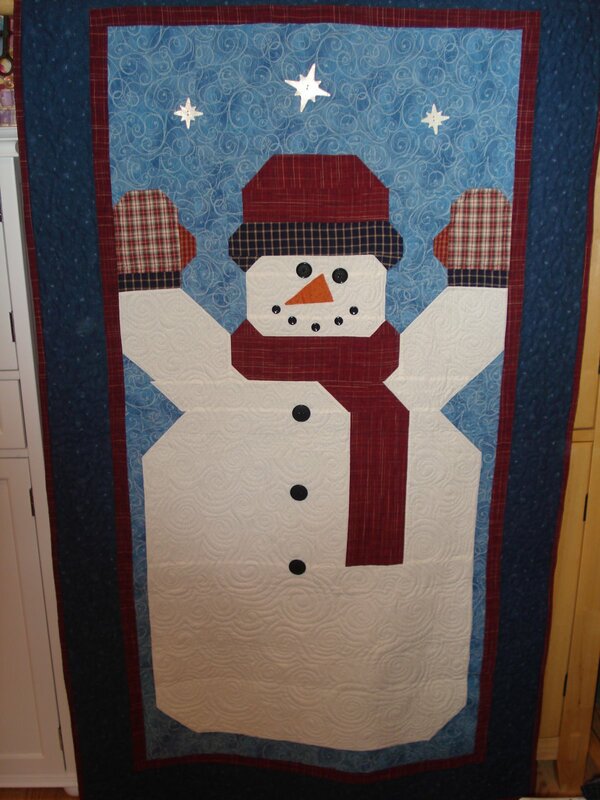 Oh that snowman quilt is too cute! The teapot, like Sharon said, I thought it was real! Well, our weather here in IL isn't too frightful yet, I'm just sittin back listening to music by Floyd Cramer (I know no one knows him) lol but love his piano at Christmas time! :) Happy Holidays! That teapot is fabulous! Love the snowman quilt as well -- and the weather here is pretty darned frightful too! 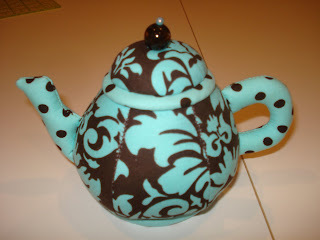 I love the teapot pincushion! 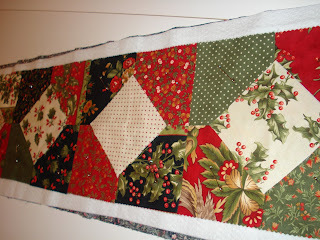 I recently discovered your website while searching for a pattern for that exact item! I cant find it anywhere and were wondering if you could help me?? ?